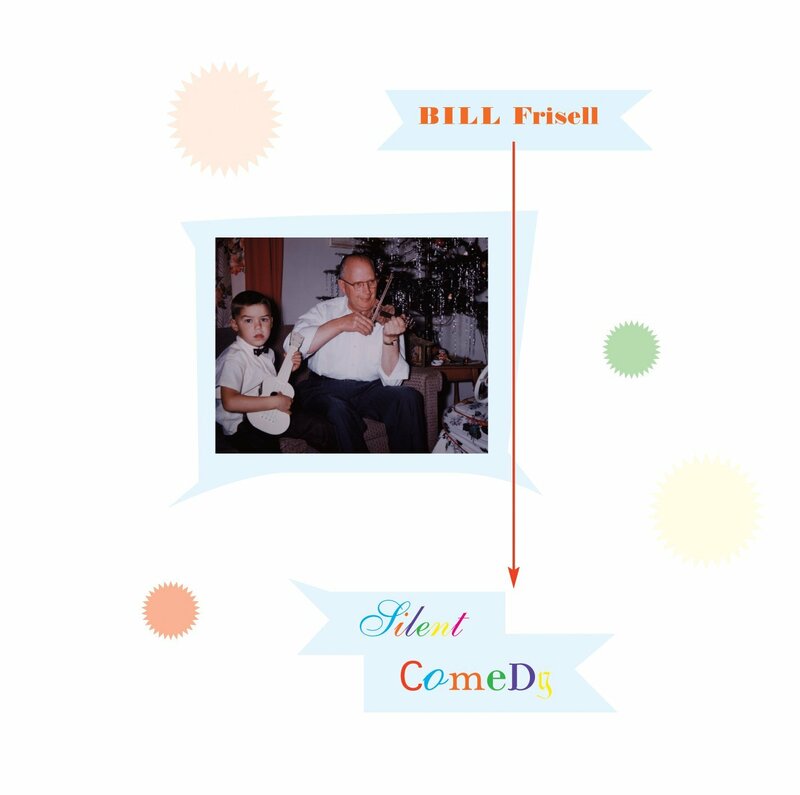 Though not his first solo guitar album, Silent Comedy seems to be a pretty radical departure for guitarist Bill Frisell. While some of his recent recordings like the subtle and sublime Beautiful Dreamers and Signs of Life featured mostly Americana influenced compositions, and the excellent All We Are Saying explored the music of John Lennon's, this is a much more experimental record. Using just guitar and looping effects, Silent Comedy is an improvised event that eschews discernible themes and typical song development, and is comprised of evolving ideas that are manipulated at whim. The opener "Bagatelle" starts with some chunky comping that listeners may identify with the guitarist, but it soon fragments, and snippets of sound begin shifting and colliding unexpectedly. The following "John Goldfarb, Please Come Home", the longest track, begins with a barrage of noise, then ushers in a mix of textures and both organ-like and traditional electric guitar sounds. The short title track welcomes back some identifiably Frisellian guitar sounds, but unlike the composed pieces on other recordings that may use similar devices, the fragmentation and unexpected arrangements breathes with new life. 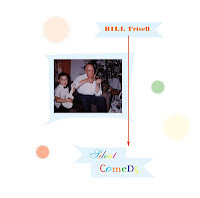 Silent Comedy is a must listen for Frisell followers and fans of experimental guitar. Not an entry point to his prolific discography, but a rather welcome divergence. The connection between these two recordings is of course the music of Bill Frisell, but something interesting is happening in the translation. 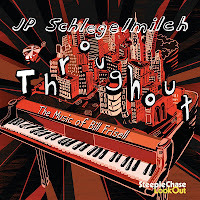 Schlegelmilch's approach to the Frisell's compositions -- by transforming the work to solo piano (an instrument which appears rather infrequently in Frisell's work) -- fills in some of the more minimalistic tendencies and angularities, giving the songs a whole new musical perspective. The title track "Throughout" begins appropriately with the lovely suspended melody left fully intact. Recorded by Frisell on his debut album "In-Line", Schlegelmilch's interpretation retains the original's spaciousness and clarity, but expands on its beguiling nature by filling in the open space with more lush voicings. Next up, "Rag," probes both the rag-time and classical implications of the song's catchy theme. Again, the pianist does not just regurgitate the original tune, rather he does some reconstruction and plays off the underlying structures found in the original pieces. "Deep Dead Blue," from Frisell's collaboration with Elvis Costello, is a moody piece that ends the album longingly. 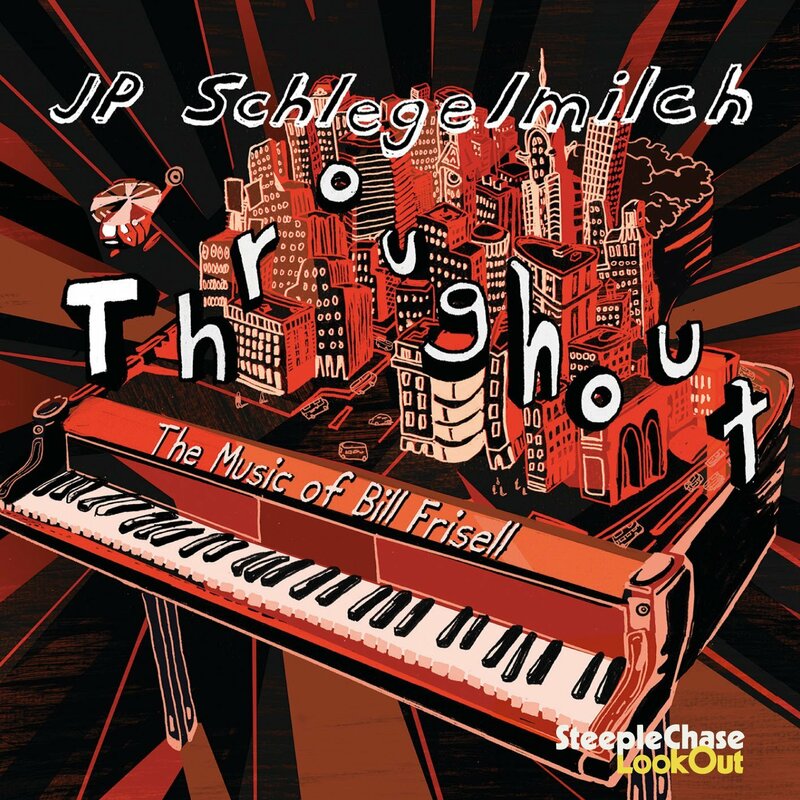 Throughout: The Music of Bill Frisell separates the songs from the guitar, presenting them in a new light. The playing here reveals not just some new aspects to a set of songs but showcases Schlegelmilch as a thoughtful pianist with fresh and exciting ideas.